BILL FRIST M.D., the cardiothoracic surgeon and former U.S. Senate Majority Leader, said today he is "cautiously optimistic" there "will be a window of about two years" after the Inauguration of the next U.S. President in which "effective negotiation and compromise" will allow Congress and the Administration to "address issues of cost, quality and delivery of health care." In a brief interview with Venture Nashville, Senator Frist declined, as he has previously, to make any public endorsement of either candidate Hillary Clinton or Donald Trump or to predict in detail the outcome of the constructive engagement on U.S. healthcare issues that he believes is likely to occur during 2017-18. Frist said that "as a student of politics" and as someone who is in frequent contact with national policymakers, advisors and others, "Hillary Clinton, I believe, will be the next President." In that scenario, he said, "As a new president, she will not want to be the ultimate defender of Obamacare, as it exists. She recognizes that costs are exploding, that there are increasing financial burdens on the middle class and that Obamacare -- though regarded as generally effective in bringing half of the uninsured into the insurance market -- has substantive deficits that have to be addressed. She does not want to 'own' Obamacare, but she will be obligated to fix Obamacare" and she is going to be willing to negotiate and compromise. Frist said he believes that when Congress focuses on Obamacare anew, "the most immediate attention will be on the exchanges and the failures of the public exchanges to achieve cost control." Medicare expansion and a batch of issues surrounding Medicare Advantage will also be among early focuses, he said. Despite controversies and complexities, the impending effort to remedy Obamacare's flaws will be greatly facilitated by the fact that "never before in the history of the country has a President's healthcare agenda been as extensively documented," with details available to policymakers who are ready to address substance, Frist noted. In addition, Senator Frist emphasized, "Regardless of whether or not Democrats of Republicans have the majority in the Senate," the likely rise of U.S. Sen. Chuck Schumer of New York to the leadership of Democrats in the Senate bodes well for progress. In 2015, Senate Minority Leader Harry Reid of Nevada announced his plans to retire at the end of this term and endorsed Schumer as his successor. Frist described Schumer as a "pragmatic" senator who "likes action, likes resolution, likes compromise, where Senator Reid did not." "Schumer's introduction to Democratic leadership will lead to more constructive dialogue and, I would argue, legislation to fix issues that are in Obamacare," said Frist. In keeping with his self-imposed two-term limit pledge, Frist served 12 years in the U.S. Senate, 1995-2007, and then campaigned for and was succeeded by U.S. Sen. Bob Corker (R-Chattanooga). Corker is chairman of the Senate Foreign Relations Committee. During 2009-2011, as reported by TIME and other media, the senator made clear that, were he in the Senate at that time, he would likely have supported passage of the Patient Protection and Affordable Care Act, often referred to as the Affordable Care Act or Obamacare. 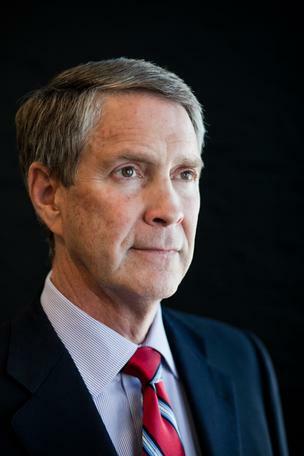 In 2013, Frist began overtly marshaling capital for his palliative-care startup, Nashville-based Aspire Health, which he founded with former Launch Tennessee Interim CEO Brad Smith. He said he believes the company is the nation's largest palliative-care services company, providing care in 42 cities in 19 states, with more than 100,000 visits performed. In 2009, he launched a statewide education reform nonprofit organization targeting improvement of K-12 education: SCORE, the State Collaborative on Reforming Education. Tennessee has recently reported gains in segments of statewide public education. Since 2004, he has also participated in programs of Nashville-based Hope Through Healing Hands (HTHH), a nonprofit has has reportedly invested more than $3.5 million in charities in the U.S. and abroad, including support for infrastructure, sustainable health development, education, healthcare and emergency relief, according to its published materials. In 2015, Frist created NashvilleHealth, a nonprofit that is preparing a strategic plan for improvement of the health of all Nashvillians. The senator, now 64, also heads the executive committee of Cressey Co., a healthcare-centric venture capital firm with offices in Nashville and Chicago; and, earlier this year he joined with Bryan Cressey to form Frist Cressey Ventures. Frist's education took him into both public policy and healthcare. Prior to earning his M.D. with honors at Harvard Medical School, he focused as an undergraduate on healthcare policy while at Princeton University's Woodrow Wilson School of Public and International Affairs. Senator Frist's father, Thomas F. Frist Sr., founded the company that became Hospital Corporation of America (HCA) with entrepreneur Jack C. Massey. They took HCA public for the first time, in 1969.